Earlier on Monday Reuters reported that the US has tempered demands that China curbs its industrial subsidies as a condition for a trade deal after strong resistance from Beijing, citing two sources briefed on the discussions. Trump’s Treasury secretary, Steven Mnuchin, also said earlier on Monday that trade negotiators are making a lot of progress. He told Fox Business Network there is more work to do, including finding an agreement on a means to enforce the future deal. The world’s two biggest economies are nine months into a trade war after US President Donald Trump slapped tariffs on $250 billion worth of imports of Chinese goods, citing concerns that Chinese trade practices were hurting American companies while demanding an adjustment to the terms of trade between the two countries. The US President has also been threatening to impose tariffs on the nearly $267 billion worth of remaining Chinese imports if Beijing fails to address US demands. 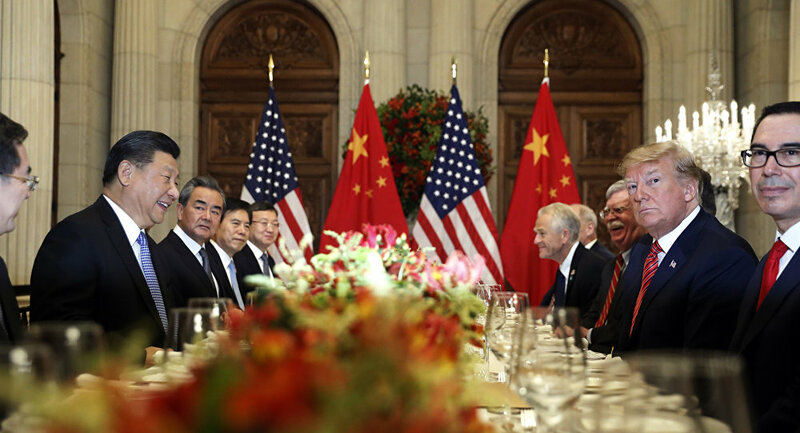 China, in return, responded with tariffs targeting US goods.